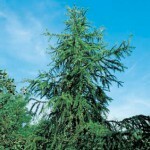 Larch (class III) is used most of all at Europlay. It is a wood type low on sapwood and it has a durable heart/core, which makes it ideal to use for outdoor products. 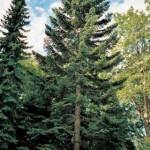 Douglas (class III) is used as an alternative for straight and strong wood structures. Has some more sapwood than larch so it is applicable to round wood of which the sapwood is mostly milled. 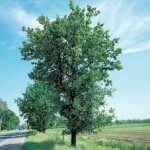 Oak (class II) is a durable stable wood that is only used for round and square poles in contact with the ground. 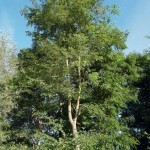 Robinia is used in the range of Eco-Play. Robinia wood is part of the durability class I to II, hence it is the most durable European wood species. For the majority of the equipment the timber is not in contact with the ground. Instead of directly into the ground, the poles are placed on metal base supports (TYPE A in the ground or TYPE B on the ground). Three types of metal are being used: steel, aluminium and stainless steel. All steel components are being sandblasted and treated against corrosion, whereupon they receive a final colour by means of a polyester powdercoating. This entire treatment process offers high-quality characteristics and ensures colour fastness. Aluminium parts are always anodised and coloured by means of a polyester powdercoating. Stainless steel components offer a high durability and protection against corrosion, as well as an everlasting good look. All metal materials are 100% recyclable. Synthetic elements consist of polyethylene, polypropylene, polyamide or polycarbonate. The materials are selected and processed depending on their strength and applicability. All plastic components are UV-resistant and protected against breaking and colour changes. HDPE polyethylene sheets (High Density Polyethylene) are produced specifically for the creation of playground equipment. This product’s high density offers an absolute added value against deformations. All plastics are 100% recyclable. Moreover, the black coloured HDPE panels we use, are manufactured with recycled materials already. Europlay’s ropes and net constructions are made of vandalism resistant steel cables. These consist of an interweaving of thin galvanised steel wires. This construction ensures rope flexibility and resistance against heavy overload and pulling force. The galvanised steel wires are eventually covered by polypropylene. This cover makes grabbing easier and gives a pleasant feeling in children’s hands. Ropes and nets are available in different attractive colours.